For any special event, such as a wedding or birth of a baby, I love to make personalized gifts that mean just a little bit more than just choosing an item off a registry. I actually try to do both, buy them something they need as well as make something to remember the day by. That way I can still help them to get the stuff they really need as well. I did just that for my friend Jen's wedding shower. 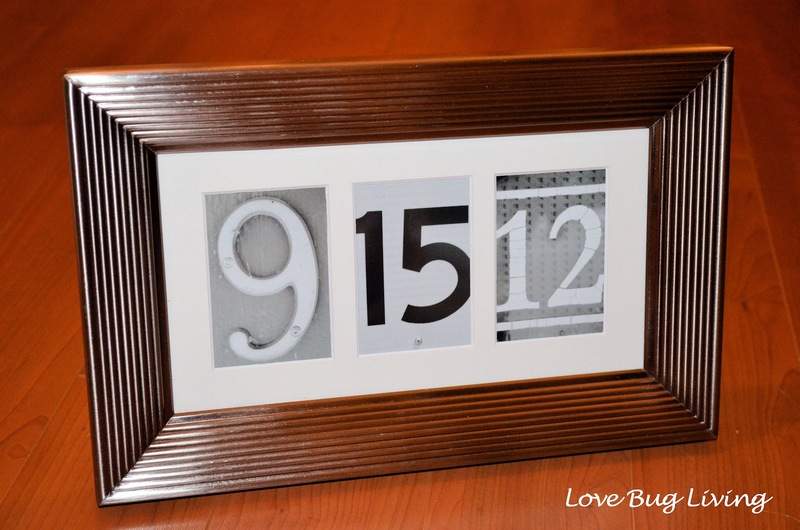 I decided to make her a photo frame commemorating the actual date of her wedding. Hopefully it will be a helpful reminder for her hubby in the years to come as well (just in case he needs it)! I'm lucky and have a good guy that always remembers. Well, except for that one year that we both forgot until I got on the computer and saw the date! Oops! At least we both forgot together. Guess it was a busy year! I'm sure you've seen the frames with the individual pictures spelling out names. 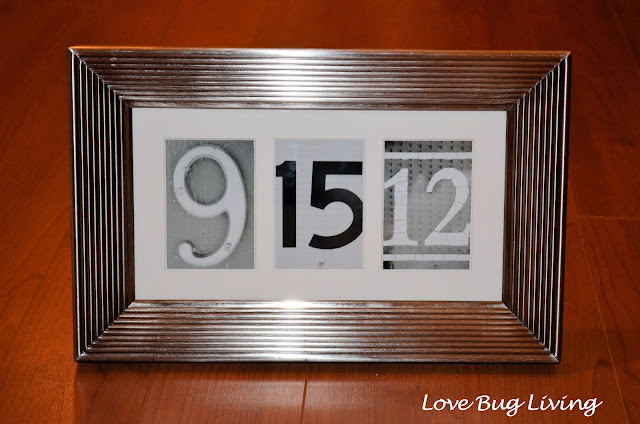 You could do this for the couple's married last name which would be a great gift as well. I found a frame with three openings, so I thought it would be fun to use the couple's wedding date. My middle daughter and I decided to trek through the downtown area of our town to look for numbers. This isn't as easy as you might think. I started out looking for address numbers that had a unique look. It was harder to find the numbers 12 and 15. Single numbers were easier to find. But you have to be creative. Use any signs that you can find. Look for store signs, phone numbers, speed limit signs, home address numbers, basically anything with numbers. These are my original photos before editing them. 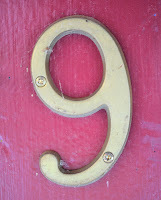 I used a house number, a speed limit sign, and a phone number that was on the front of a store front. I first resized and cropped the numbers to fit in my photo frame. It was then easy to unify the different looks by changing the look of each of them to black and white. I printed each of them out separately on to photo paper and inserted them into my frame. This is such a unique way to celebrate a couple's special day. Your gift will be one of a kind! I'm sure it will be a gift that they will love and proudly display! This is the perfect wedding gift or a way to remember that special day. I hope you will link this up this week at The CSI Project. The challenge starts Wednesday. The challenge this week is "Love Themed". Come see tutorials everyday, then link up. There is a new challenge each week! Come on over!